Yesterday I attended a canine first aid course, set up by Animal Aiders, who run courses covering emergency aid for different kinds of animals. My very 'capable with canines' friend Naomi felt it would be good for us both. She rescues Bull Terriers and has always got between 3 - 6 dogs at home. I learned a great deal and certainly came away feeling much more confident, especially about anatomy and wound dressings. We had cuddly toy dogs to practice bandaging on, well I say dogs, those of us who got there in time did, others had to make do with cows. He doesn't look very happy, but he didn't complain. We heard from Gaynor that the sled-dog World Championships in Norway in the 400km and 600km distances have just been won by two women. There is more information here: www.femundlopet.no As Gaynor says "I can't think of any other sport in the world where women compete equally alongside men and come out on top!!" 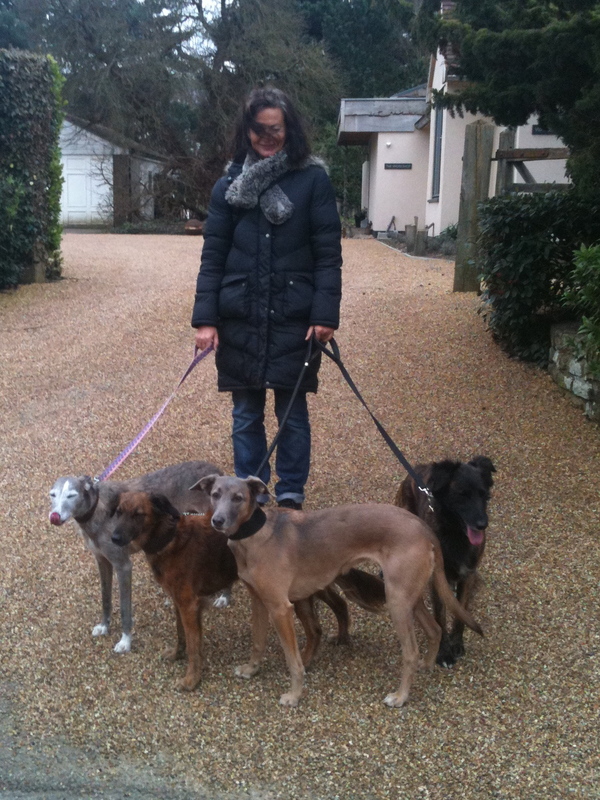 Anna clearly felt inspired and harnessed up the local Lurcher team for a burn across the common.